I love doing craft fairs. It's so fun for an artist to actually be out and interacting with her future customers. Being able to talk with them, and see which items they gravitate towards is so useful in my business. I can see, and hear, first hand, their thoughts on different products. Fall is slowly creeping up on us, (YAY) and that means all things PUMPKINS!!! Pumpkin lattes, pumpkin carving, pumpkin patches and pumpkin decor. It's definitely my favorite time of year, so I wanted to offer you yet another free pattern. This month, my free pattern is for crocheted pumpkins! 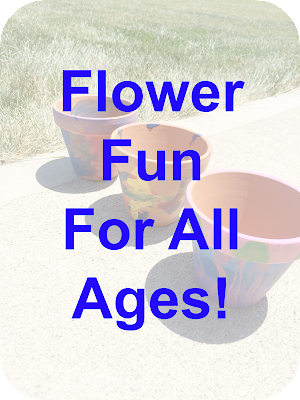 These are fun for your kids to play with, to decorate your house with, or to sell at the fall craft fairs! I've sold quite a few of these. They are very quick to work up, and because of that they can be priced pretty low. Kids eat them up at the fairs, and so do parents. I mean, who wouldn't want a stuffed pumpkin??? Yes, you read that title right. Strawberry Pizza! I was confused, too, when my 5 year old came running over to me asking if we could make it. You see, for her 5th birthday, my Mom signed her up for a Highlights High Five Magazine Subscription. My oldest got this as well, but has since moved up to the regular Highlights magazine. It was written in my 5 year olds birthday card, that she would now be getting these magazines, but of course, at this age, she didn't really get it because she didn't have it in her hands at that moment. When her first magazine came in though, she was so excited! She doesn't normally get mail, unless it's her birthday or another holiday, so it was very exciting to her to get something of her own. She was breezing though it, and then came running to me when she saw the recipe. 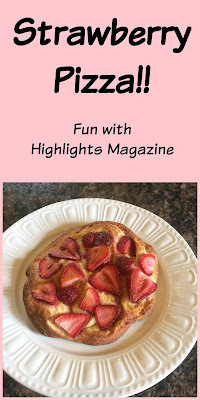 The Strawberry Pizza recipe. She was so excited about it, there was no way I could say "No" to her. Get Stains Out With This Product!! I have kids, hence the Mom Blog. With kids, comes messes. I have a few stains on my carpets, that regular cleaner has not been able to get out. They have been there for a couple months, and I have not wanted to fork over $100 to have someone come in and professionally clean my carpets. 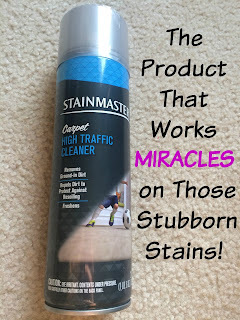 So when I was offered a free bottle of STAINMASTER Carpet Cleaner, for my honest review, I was eager to try it. I hate paying for stuff that I don't know is going to really work or not, so it's hard for me to find something that I can have as a go-to. I'm writing this review to hopefully help others out there with the same problem. Kids. Oops, I mean, the MESSES that kids leave! 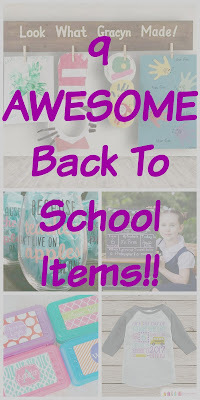 9 Awesome Back to School Items!! Where I grew up, we didn't go back to school until AFTER Labor Day. Now, living in a different state, my children go back to school in beginning of August. That's crazy right? I feel like it's still summer until at least the end of September. I mean, don't get me wrong, I'm am definitely ready for school to start, but I just feel bad for the kids because it's still hot out, and perfect weather for playing outside! The kids do get out of school in the end of May, though, so they are still at least getting 2 and half months off. I feel like when I was a kid though, summer lasted so much longer. I guess as a parent, days just go by a lot faster because we have so many more worries. I've done a post like this before, but I loved it so much so I had to do another. There are so many creative people out there and sometimes, I'm just amazed at what they come up with. 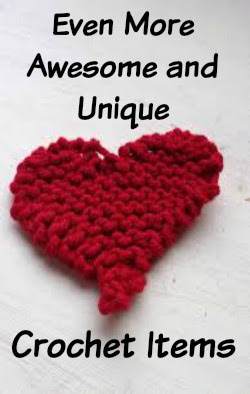 I love to crochet, and I love all things that are crocheted. Some people may not agree, and just think "What the heck?" Not, me though, I see these awesome creations, and I'm impressed that someone could come up with the idea. 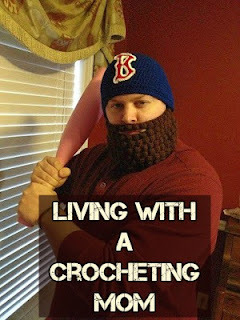 Crocheting is becoming more and more popular, which is fantastic. It's not just for the older people anymore, but young as well. With it's increased popularity, though, you see a lot of the same things, over and over, just made a little bit different. So when you see something that's new, it takes you by surprise, and it's amazing. 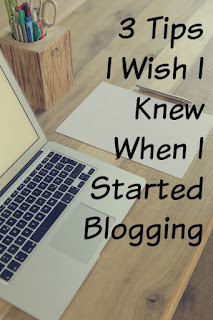 I've been really trying to learn everything I can about blogging. It really is a business, and the best way to succeed with a business, is to read and learn everything you can about said business. I may exaggerate a bit when I labeled this post, The BEST books about blogging. Maybe a more accurate title would have been, The books that I could get from the library, about blogging! 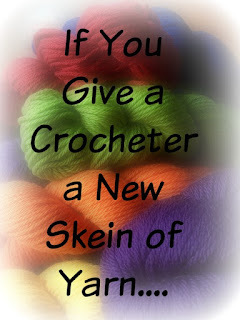 I love writing crochet patterns for other people to enjoy. 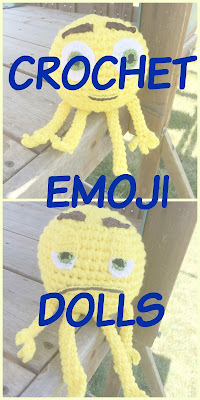 I have been crocheting for many years now, and have had my "The Crocheting Mom" business for about 5 years. About a year and a half ago, I really started getting into pattern writing and I absolutely love it. It's a great passive income, and you can share your designs with people who need a pattern to create something, because we've all been there. I know there are people out there wondering, though, "How can I start writing a pattern?" So I have written this post to help you figure out the whole process. It's really quite simple, and once you've done it a few times, it will come naturally. Money is a big part of life. As much as some of us may try to say it isn't, that money doesn't rule our lives, it does. You either are trying to figure out how to get more or trying to figure out what to do with what you have, or most likely, both! From a young age, when children start to get an allowance, birthday money or even just finding change on the street, they want to spend it. They don't care how much they have, or even if they have enough, the second that glorious money hits their possession, they want to use it. I'm not sure if its because it makes them feel older, being able to buy something by themselves, or just the adrenaline that they receive from getting a new item, but they want to spend it as quick as possible. This is why it is so important to teach them at a young age the importance of saving money. Pinterest boards are great! 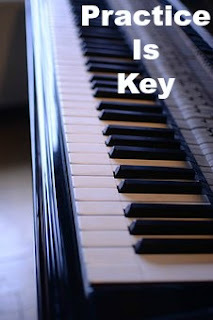 When I first started Pinterest, I just thought it was all about pinning things you found useful, and following people. I mean, that is basically the main take away from it. Pinterest is so much more than that though. 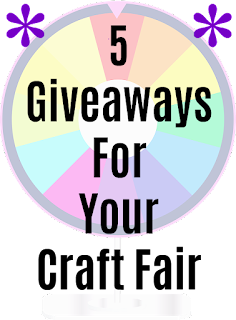 It can help you if your a blogger, a designer, a business person, or just the ever day person looking to get the most of it. I've realized that becoming part of group boards are essential to getting everything you can out of Pinterest. When you become part of a group board, you are exposed to so many more people and followers. Your pins that come up are going to multiply, AND so will the amount of people who see yours. 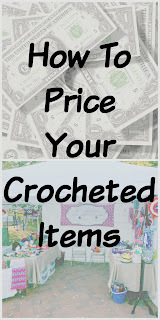 There are so many different ways that you can price your crocheted items (or other crafty creation). In the many crochet FB groups that I'm a part of, I see it almost daily "How much should I charge for this?" "Is this too cheap/expensive?" It's hard to know what to charge. We don't want to sell something to cheap, where we could have gotten more money, but we also don't want to price it too high and then we get no bites on our products. 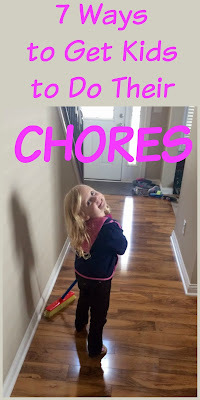 7 Ways To Get Your Kids To Do Their Chores! 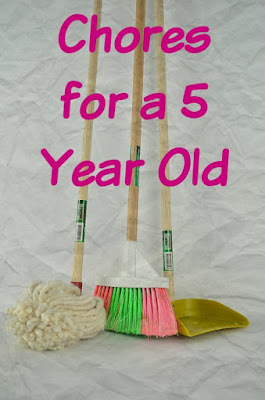 I've written before about my children during chores in my home, but it's such an important topic I wanted to give some more tips. I won't say it's easy, but my husband and I are trying to make it second nature for our kids. We want them to understand that having chores is just a part of being a family. We all need to help out in the house, and as a family, we can keep the house clean. I have created a list of different ways you can help acheive this goal. I LOVE making children's animal purses! Every time I make a new one, my children go crazy over them! And I can see why! I keep coming up with new animals that would be great as a purse, and they keep going gaga over them. It's not just my children either! Last year I started selling them at my craft fairs, and I sold out! They are easy to make, so I can make up quite a few before said craft fairs. The kids love coming to my booth because they see so much color. When they lay their eyes on the purses, they give their parents those pleading eyes. Basically, they are great sellers! You've spent hours, even weeks, working on those patterns. You've put your heart and soul into them. Now you're ready to share them with the world, and maybe even make some money from them. There are many places where you could place those patterns, but where are the best ones, and what are the differences? Each site has different requirements and cost different amounts. My husband and I are both the baby of our families, each with three children. So when we decided to have our third child, we though things would be easy peasy. Or second child, wasn't even two when we got pregnant so things seemed normal to us. We had no idea what we were in for. I always heard that about "the middle child syndrome" but never though it held any weight. I used to think that it was just something parents said to give an excuse for that child's behavior. Boy was I wrong. They were right on all accounts. 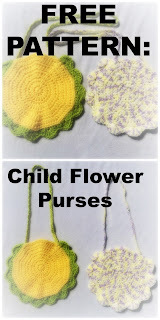 Over A Dozen Free Crochet Patterns! Crocheters, like myself, love patterns because you can create an item without really having to think. 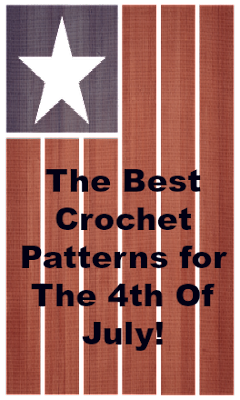 If you've been crocheting, for at least a little while, you'll be able to understand most patterns, and they will help you create beautiful pieces. 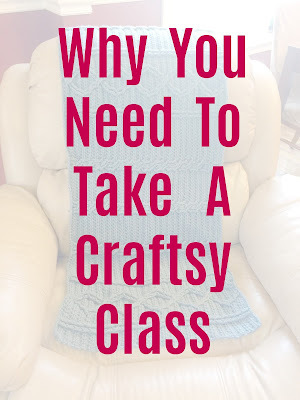 Whether its for selling at a craft fair, a baby shower, or even just to keep to yourself, there are many reasons that us crazy crocheters just can't seem to put that darn hook down. I am part of the MyMagazine Sharing Network, and for my honest review, they send me free products to try out. 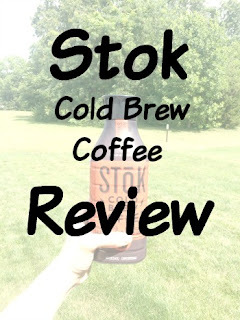 When I was offered the option of trying out Stok Cold Brew coffee, I accepted immediately. I love coffee. I live on coffee. If it wasn't for coffee, I don't think I would make it through my day. Seriously. With the three kids, two school-aged and one toddler, I need coffee to give me the energy to get everything done in the day. Between carting the kids around to activities, regular household duties, crocheting, blogging and everything in between, I have a lot to get done each day. I love the series of "If You Give A...." books. Whenever I was teaching in a classroom, I always knew these would be a hit with all the children. I decided I would make a parody of these stories and had a lot of fun creating it. I'm not huge into writing up recipes mainly because there are so many out there written by people who cook for a living, and also, because I don't usually use exact measurements when I cook for my family. This meatloaf is a game changer though, and I wanted to share it with the world. My daughter is almost 9 years old, going on to a 13 year old. I swear she's already acting like a tween. Besides her attitute, the fact that she loves sports, and that she's already developing her taste in music, she also gets caught up in the "it" thing, the current Fad if you will. Right now she loves all things IU (Indiana University - since we live in the college town), Minions and Emoji's. If you are looking for a place to travel to with your kids, and you even remotely close to Indianapolis, I highly suggest you make a trip to the Indianapolis Children's Museum. It is over 400,000 square feet and spread out over 29 acres. It is THE largest children's museum in the world. Anyone who works with yarn know that there are a couple of ways to use it. You can either take it from the middle of the skein and hope it doesn't get all twisted when you get to the end, or you can roll it in a ball to start, and hope that the ball doesn't roll all over the pace. To help you with the latter, I've designed a yarn holder that you can use to keep the ball in one spot. There are some cute ones out there made of clay and such that you can buy, but a true crocheter likes to use what they have. 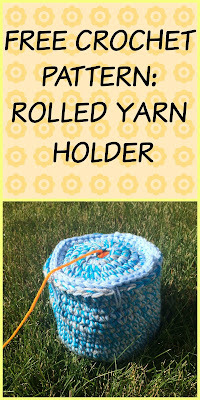 This is a yarn ball holder, made of yarn! For the past couple of years, the Easter Bunny has brought my children little flower pots. Each year my children hope that they will get them again. They really have fun with the process of planting, caring for, and watching their flowers grow. 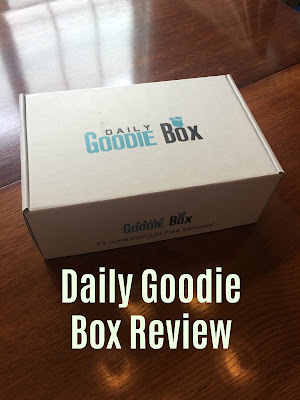 I finally got a goodie box! I have been commenting on their Facebook page for a couple months, and I finally lucked out and got one sent to me. They said it would be about 3-4 weeks before I got it, which was fine by me, because I actually won one! I feel like it took a while, but in all reality, a couple of weeks isn't that long. Anyways, it came in the mail the other day, and it was like Christmas morning for me, checking it all out, excited about trying everything, all the while swatting away my children who were trying to grab it all from me. LOL. When you think of summer you think of 4th of July, the cookouts, fireworks and good food are something to be remembered. This year, why don't you add a little bit of crochet to those amazing memories with one of these amazing patriotic items! I started blogging way back in 2014. January of 2014! So it's been a while. 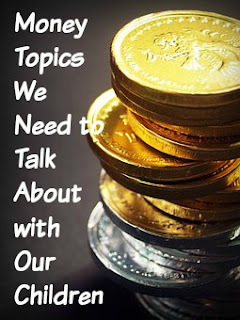 When I first started, my husband kept telling me little tidbits of what he was reading here and there about blogging, but for some reason, it went in one ear and out the other. I basically just wrote about my kids and what was going on in my life. I did it pretty regularly for the first few months, and then I faded off doing only a few here and there. In 2015, and 2016 I probably only did a handful of posts. 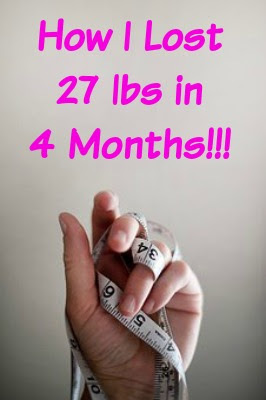 I wasn't seeing much come out of the blog, so I wasn't as motivated. My 8 year old daughter LOVES to play games. It started way back when she was younger with memory. A great game for her, because she found something she can always beat Mommy at! She was drawn to most games, naturally because her parents are also very competitive. Board games, card games, mental games (I spy...) and physical games (basketball) were all fair game for games. Lately, she really enjoys playing card games though. Maybe it's because she's realized that I will say yes more often than not to card games, because I love them as well. 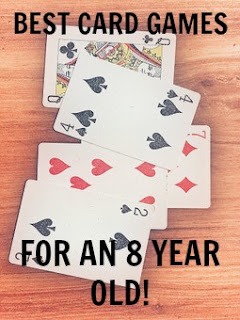 Playing cards reminds me of when I used to sit and play double solitaire and cribbage with my Grandfather. So when she asks, it's usually a YES of course! One of my regular posts now is going to be a list of fun crochet patterns for different holidays. I did it for Mother's Day, so of course, I have to do it for Father's Day too! That being said, do you know how hard it is to find crocheted things that a guy would actually want? It's hard. I mean, yes, they would probably go for hats and scarves, but not in JUNE!!! So after digging for a while, I think I came up with a pretty good list. I know not all Father's may go for these, but I think they are pretty cool, so here they are. 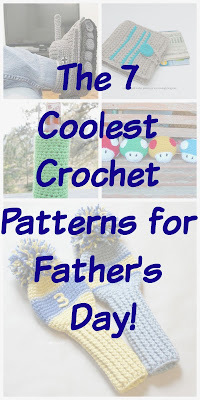 The 7 coolest items to make Dad for Father's Day, and where to find their patterns! Bonus: All but one of the patterns are free!!!! 11 Activities That Will Help You Feel More Relaxed. As a fellow parent, we all get lost in the monotonous daily chores and routines. Even if your not a parent, sometimes days will go by before you even realize it's the next month. We get so busy with our lives, and our children, that sometimes we forget about taking care of ourselves. 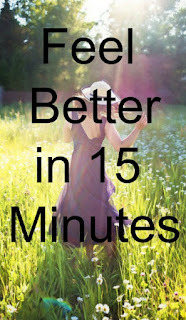 It's just as important to make sure that YOU are taking care of, even if its just for 15 minutes at a time. I realize that even 15 extra minutes can be hard to find in your day sometime, but for your own self satisfaction, I urge you to find it. As a crocheter, I bring my current wips (works in progress) almost anywhere I can. Usually it's quick trips while my kids are at their sports, or just being able to do a few rows while I'm waiting to pick them up from school. Those trips do not require much thinking though, because if I forgot something, I'd be back home within the hour usually. Taking long road trips are another story. I check my stash over and over again to make sure I have everything I'll need. My husband does the driving, so I have plenty of time in the passenger seat to crochet. Well, in between making sure the kids are entertained enough. Our trips are usually to go to visit my husband's grandmother, who lives about 8 hours away. That's a long trip, and you better believe I'm going to take advantage of all that time sitting there to get some inventory completed. Father's day is right around the corner and before we know it, we'll be scrambling around to find that perfect gift! Now, I'm not a guy....obviously....so I asked my husband for some help on this post. 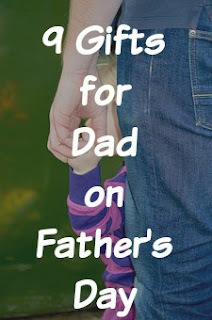 What do dad's really want for Father's Day? 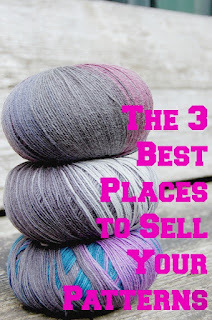 I asked him to find items on Etsy and he came up with a great list! He even picked something for every "type" of dad! Perfect. I think he did a great job picking out items, so I stand behind his suggestions. Dad's are great, right? So let's make sure they get what they want. In no particular order, let's begin! If you're kids are anything like mine, then they LOVE freeze pops. And if you are anything like me, you LOVE them as well because they are the cheapest summer treats out there! My children, including my 2 year old, all love these pops, and would eat them all day long in the summer. I don't let them, because, yes, they do have sugar in them. They are great though, on hot days, or after a long walk with the kids, to send them outside to have a pop. The only problem, is that they go through so many paper towels, because they pops, are well, frozen, and too cold for their delicate hands to hold onto for that long! I love summer. And, for the most part, I love spending summer with my kids! LOL. As long as the bickering stays to a minimum we'll be good. I usually try to plan a lot of activities to keep the kids busy and active, mentally and physically, through out their time away from school. Back when I was a kid, my summers consisted of staying with my cousins and swimming in their pool, or staying with my grandparents, and going to the beach down the street. I was pretty busy, and I loved it. One of the things that we do every summer is: Summer Reading Programs. We find all the ones we can, and my kids have fun tackling them, eager to earn their prizes. 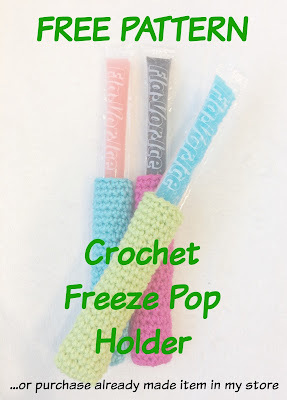 I am so excited about my newest item in my crochet shop! I don't usually do posts on just one particular item, but this one is such a game changer, and so much fun, that I just had to write about it. What is the one question you dread to hear during the summer? "Mom/Dad, can you fill up water balloons for us?" I'm sure you've seen them. You're scrolling through FB, Pinterest, or whichever social media you prefer and you have to stop, and take a second to look at that picture. 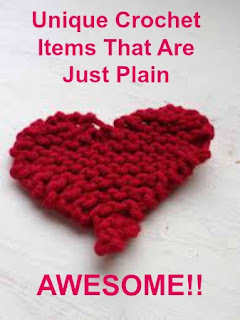 It's a crocheted item you've never seen. One that makes you smile and laugh, and love it all at once. Crocheting is my job these days and therefore I love all things crocheted. They may be "different" to some, but I enjoy the uniqueness of the creativity of whoever made them. When people find out that my children have chores, they seemed surprised. Actually, it surprises ME how surprised they are. Chores are important for young children as it helps them get a sense of ownership in the house that they live. They are part of the family, and more importantly part of the mess, so they should have cleaning chores as well. I'm a stay at home mom, so yes that is one of my responsibilities, but with 3 children living in this house, (and ahem, a husband), this house would be EXTREMELY messy without their help! When my husband and I were just still dating, we used to talk about the future a lot. One of the topics included how we would raise our children. Our biggest hope for us as parents, was that we would encourage our kids to be part of something. It could be sports, music, art, drama, scouts, or whatever else they wanted, but they had to be in something. Once we had children, and they started getting a little older, we let them try out a multitude of activities. Especially our oldest, who is almost 9. She has done gymnastics, softball, basketball, piano, cheer, volleyball, and probably some more things that I can't think of at the moment. My husband and I want to give her all these options, so that she can find what she truly loves. I love making things that my girls love! When I started creating animal purses, they seemed to really take to them, as did everyone else. They are hot sellers at the fairs, and they are fun to make. I have been creating different ones, each one being more unique and fun. So far, I've made an Elephant, Owl, Puppy, Mermaid and Basic purse. Clicking on each name will bring you to their pattern, or, you can purchase one in my Square Market. 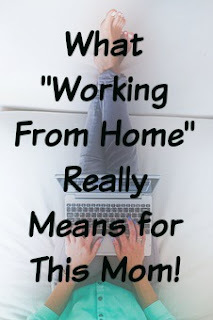 What "Working From Home" Really Means for This Mom! I "work" from home. There are lots of people who do it, Moms and Dads. I give each and every one of them credit. Working from home, as a parent, is not an easy task. That being said though, it's my most favorite job that I've ever had. I love craft fairs. It is so much fun to get out there and meet your customers face to face, and to let everyone see your wonderful creations first hand. That being said, they are not easy. There is a LOT of planning to do before hand to make sure everything is ready for that day. Between figuring out what items you want to show off, and what equipment you'll need to have with you, you're sure to forget something. 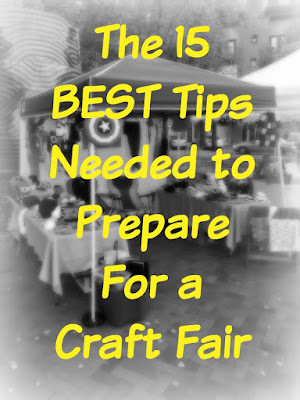 I have compiled an all inclusive check list with tips and necessities to get you ready for those money makers, I mean craft fairs! First, thank you for your interest in following my wife and joining us on this quest called raising kids, building a small business, and all the while keeping our sanity in check. Second, I’m very sarcastic, but I love my wife and her drive to grow this business. So how did I end up with yarn and crocheted inventory in my master bedroom, crocheted work-in-progress by our living room couch, and pieces of excess yarn throughout the rest of the house? 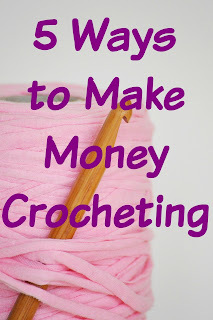 Easy… I’m married to The Crocheting Mom.